I use organic where it is possible. I also mix different nut depends on what taste I want. I love them all. Walnuts, almonds, hazel, brazil nuts, cashew and pecan. Melt the coconut oil, mash the bananas mix together with 1 cup of hot water (to make the granola stick together). 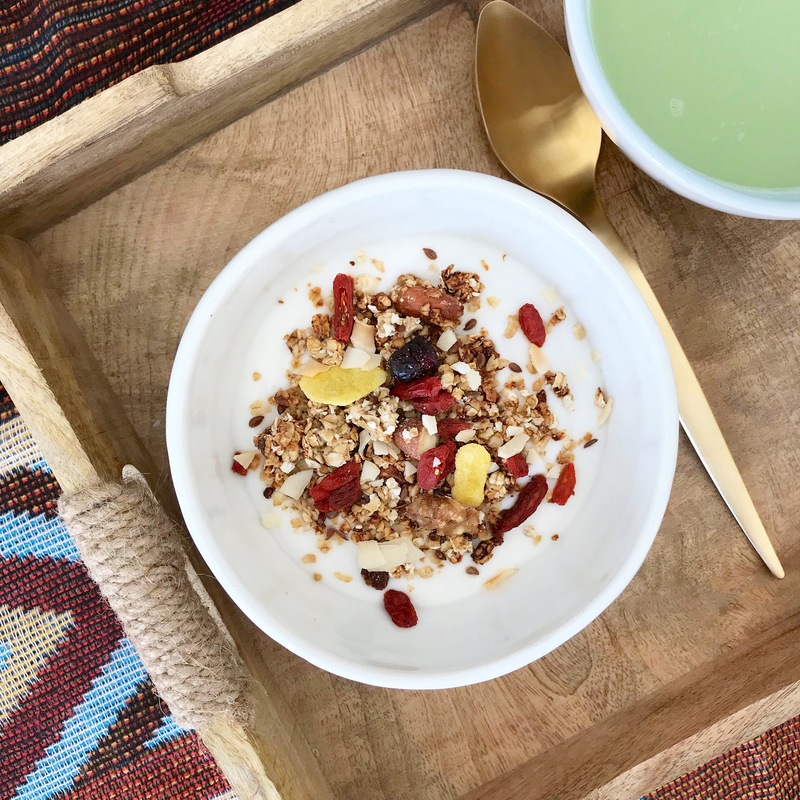 If you’re making granola without bananas, add 1/2 cup natural syrup. 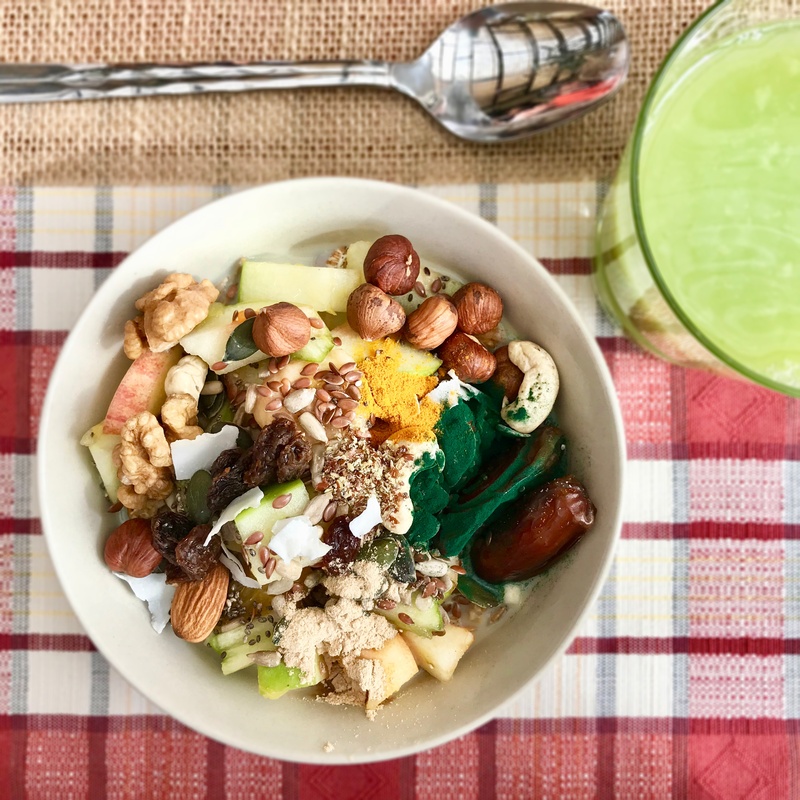 Use a big bowl and mix oats, nuts and flaxseeds. Add the bowl of mixed bananas, coconut oil and water (here it´s nice to add 2 table spoons of maple syrup if you want). Mix together. Use a big tray or two. Place in the middle in the oven. Turn after 15 min. Bake until golden brown color. Mine is usually baked for about 30-40 min. And I leave them in the oven with the door slightly open to cool down. OBS!! 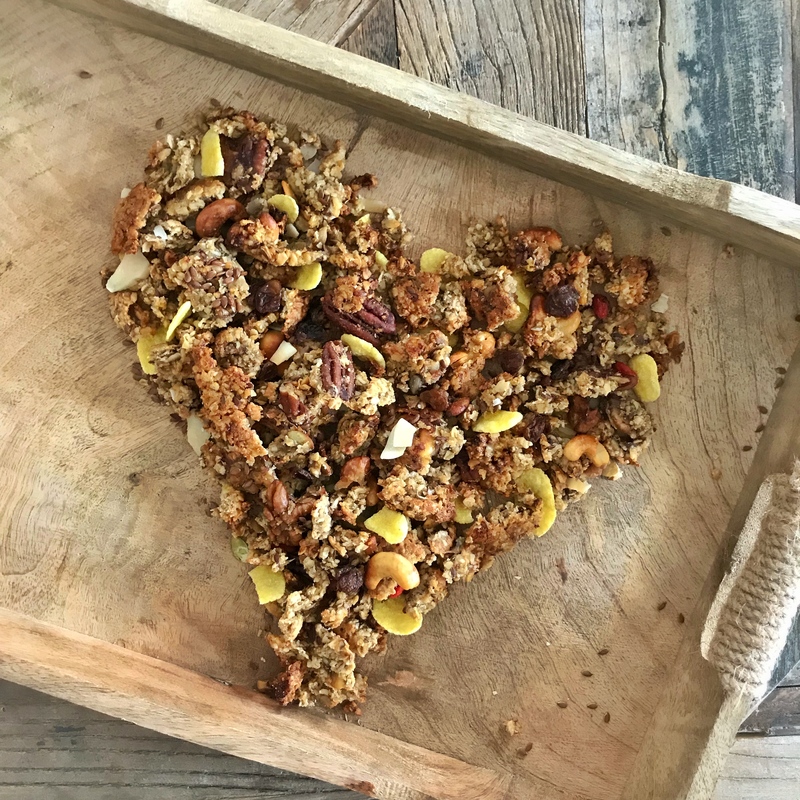 Granola burns easily, so you might want to keep a look at it….and reduce the heat when baking it longer. 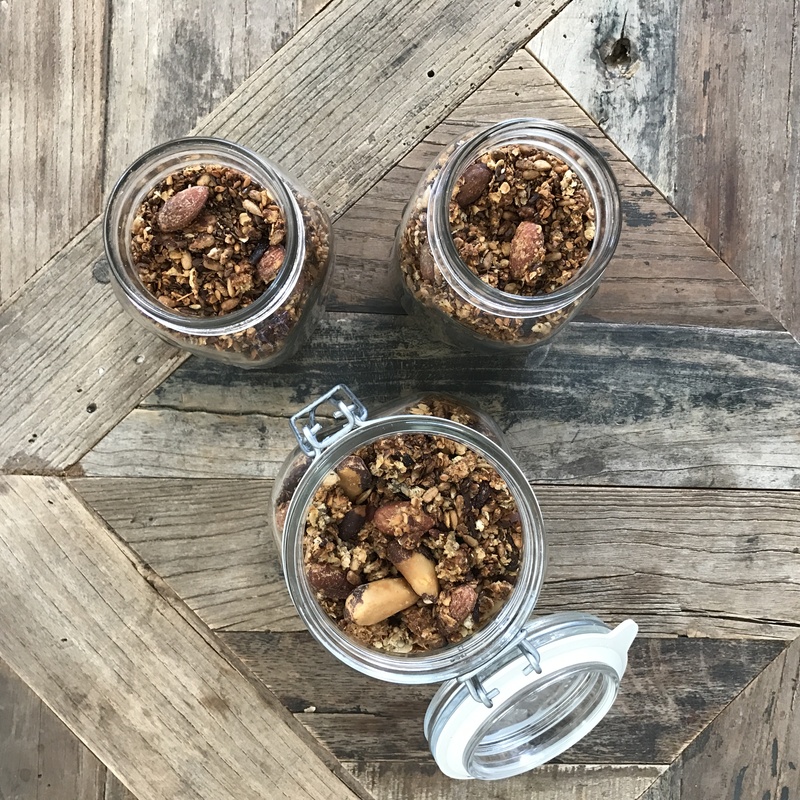 Store the granola in air-tight glass yars. 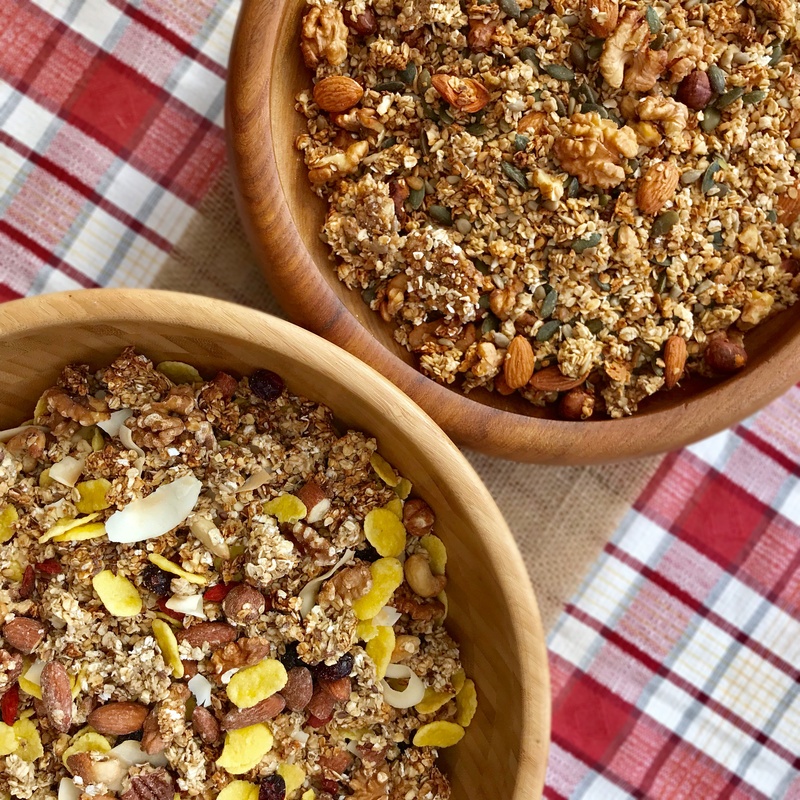 The granola can be easily stored for a few of weeks. I usually finish this batch in one to two weeks. Breakfast and night meal. How amazing is this for breakfast? 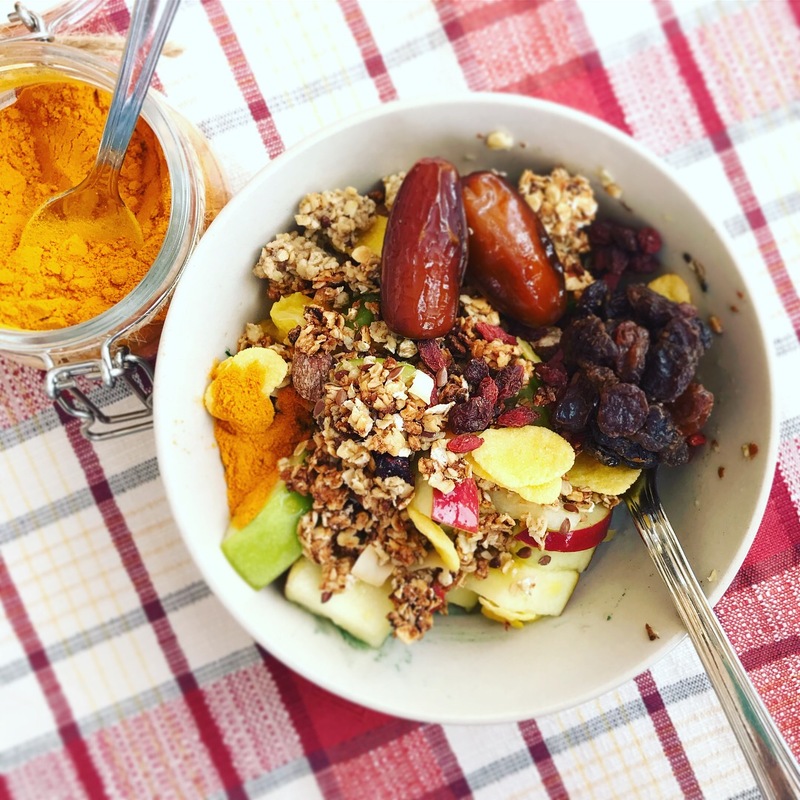 Healthy, yummi and packed with so much of the right fuel for our body! 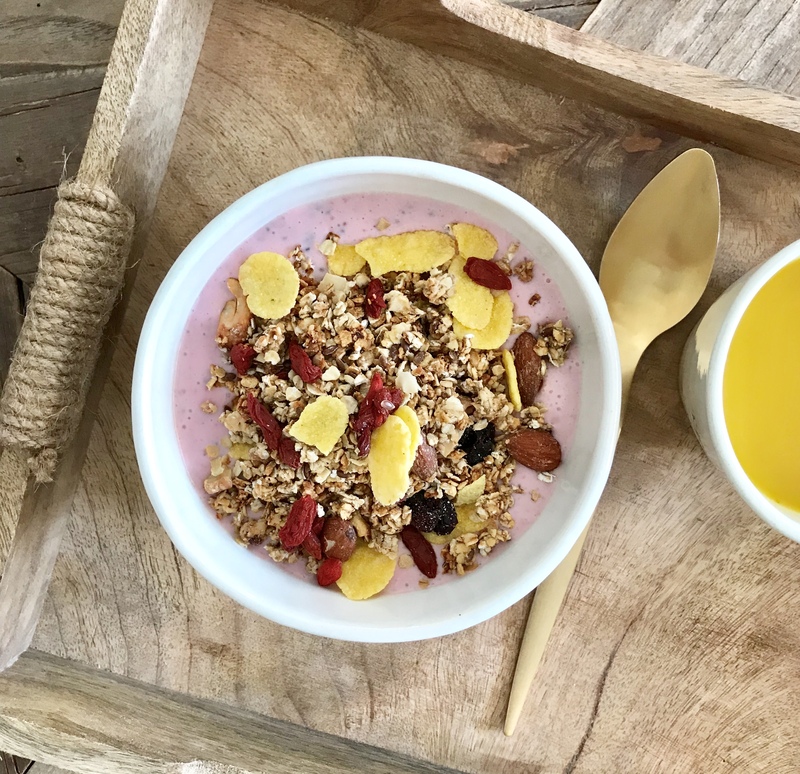 Start the day right…even if you one of those who´s not hungry in the morning and don’t eat breakfast, let your first meal of the day be a nutritious one. Ever thought about booking a travel photographer?